Find us at HALL B, booth 403. Meet our maintenance & railway engineering experts in Berlin at InnoTrans on stand 403 - CityCube - HALL B. 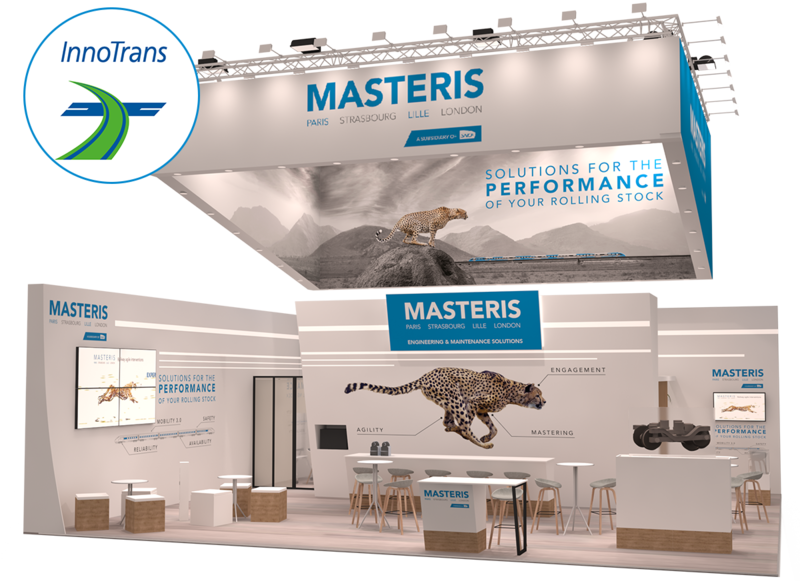 The MASTERIS Teams will be more than happy to welcome you at InnoTrans and introduce you our maintenance & engineering solutions. By submitting this form I accept that the information entered is used so that MASTERIS knows my presence at the INNOTRANS show and can contact me by any means to let me know about its activities and news and for any commercial relationship that may arise. To know and exercise your rights, including withdrawal of your consent to the use of the data collected by this form, please see article 8 of our Terms and Conditions. Thank you. We will be delighted to welcome you.